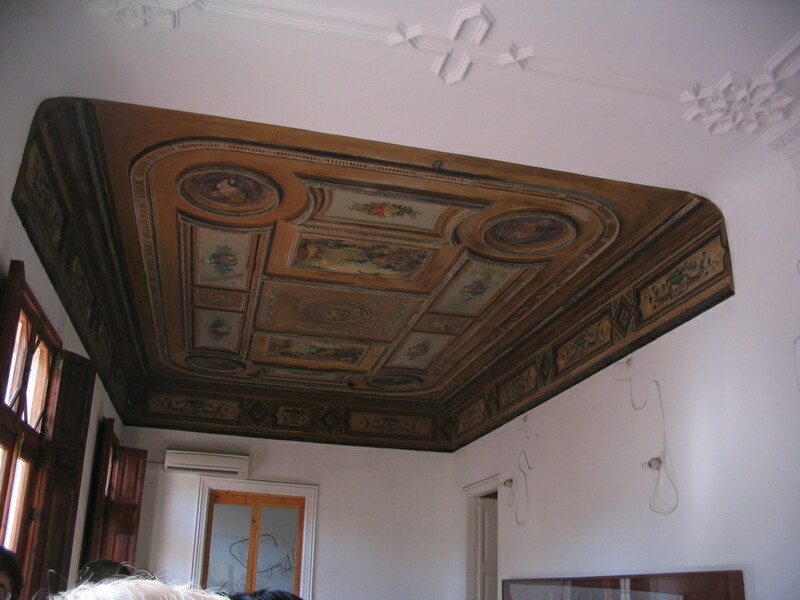 One day we were treated to a visit to EMBT's office in the heart of the Ciutat, along Passatge de la Pau. 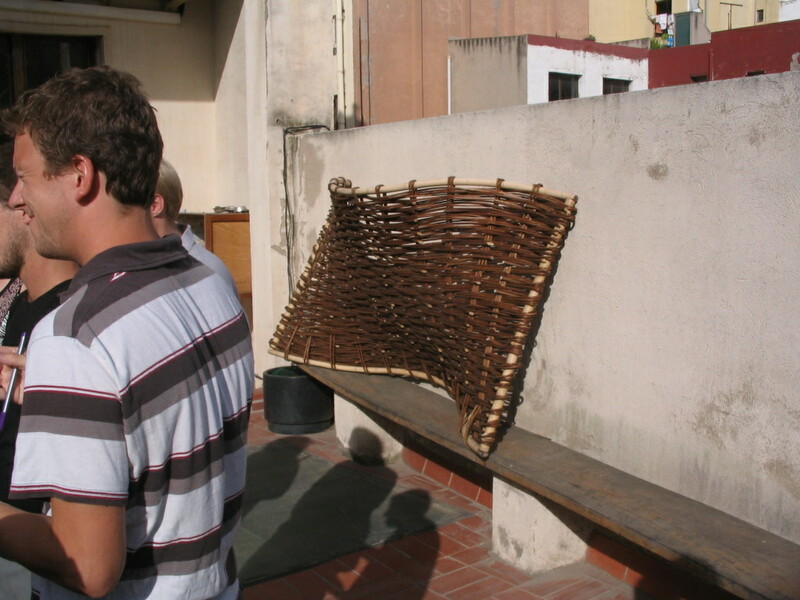 On the back terrace were a number of experimental undulating wooden structures. 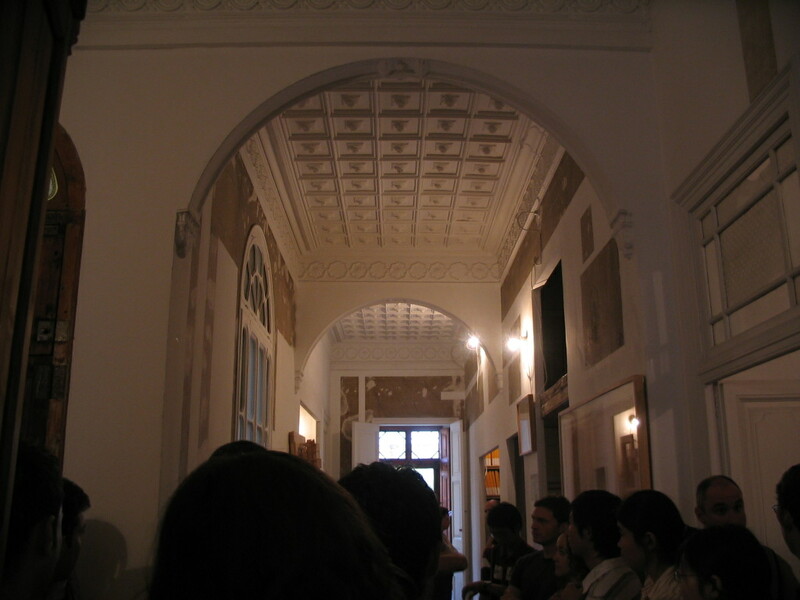 The structure of the balconies overhead was quite fetching; note the arrays of segmental vaults characteristic of the region. 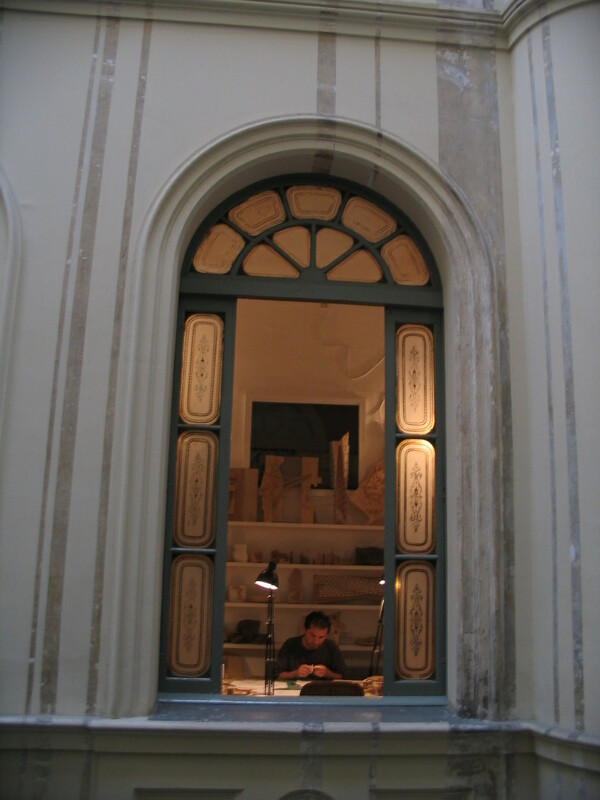 At least most of the time, these are termed Catalan vaults — I think — although Catalan vaults do not have to take this shape, but rather are defined as low arches of thin masonry. 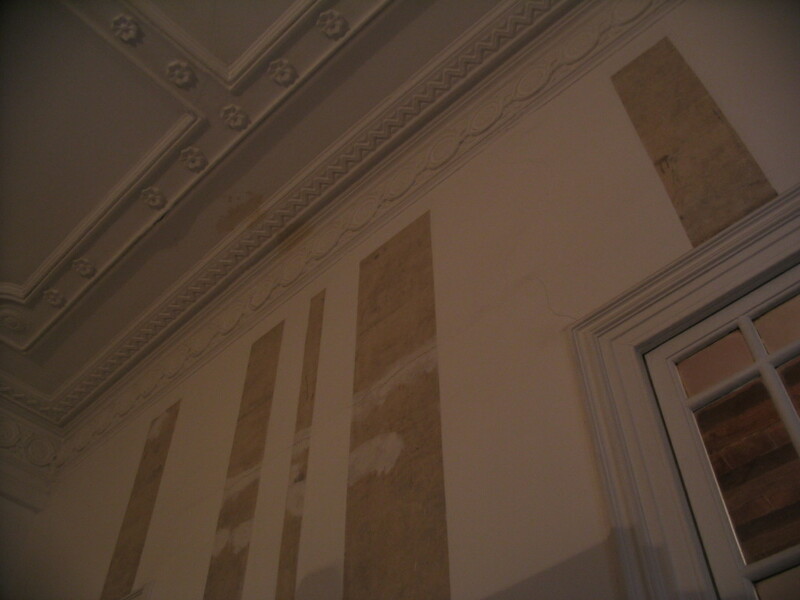 In multiple areas there were palimpsests of earlier finishes. 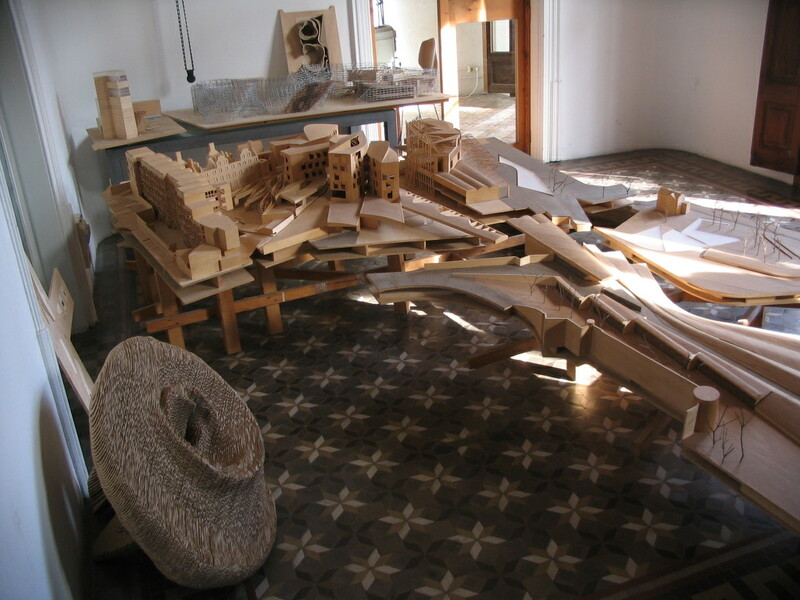 I think well-crafted wooden models are lovely art objects in themselves. 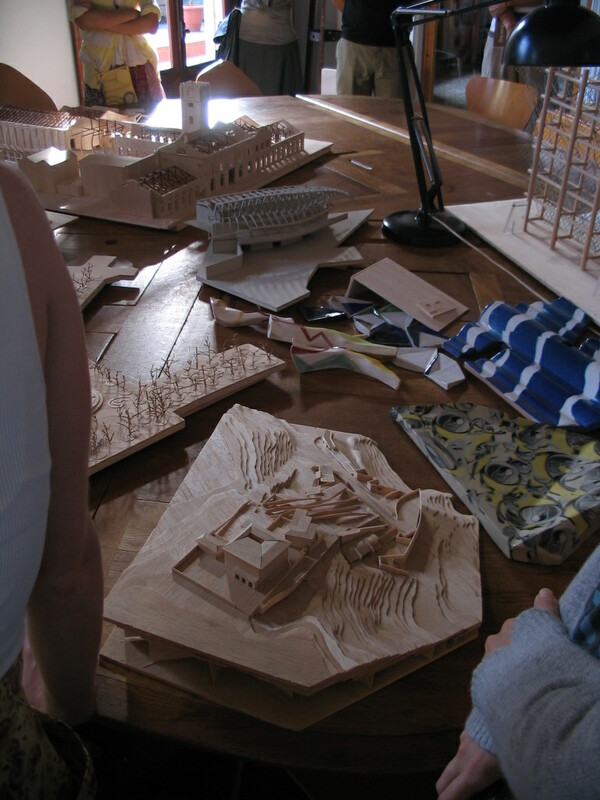 See also the Säynätsalo site model. 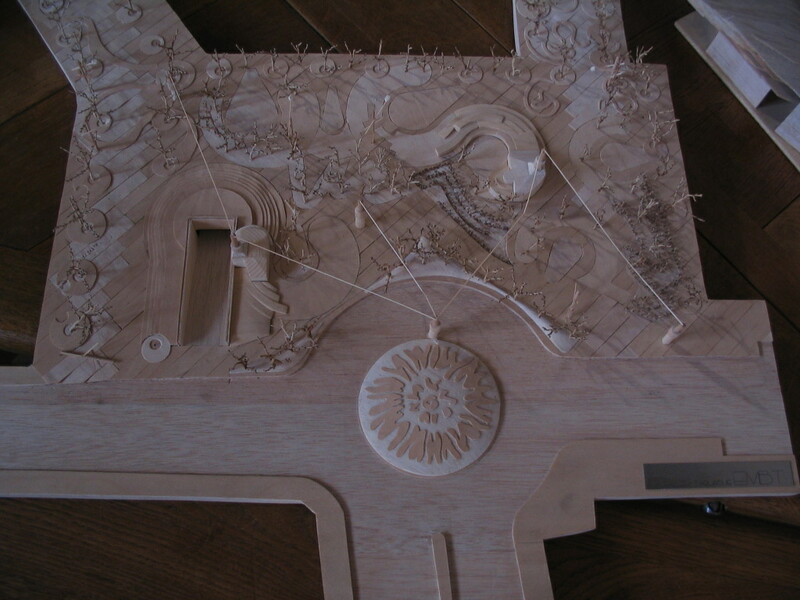 A rather remarkable model of the rather remarkable Scottish Parliament. I recall that, years ago, the Scottish Parliament was perhaps the first building to really pique my interest in contemporary architecture. This looks like it materialized out of a dream. 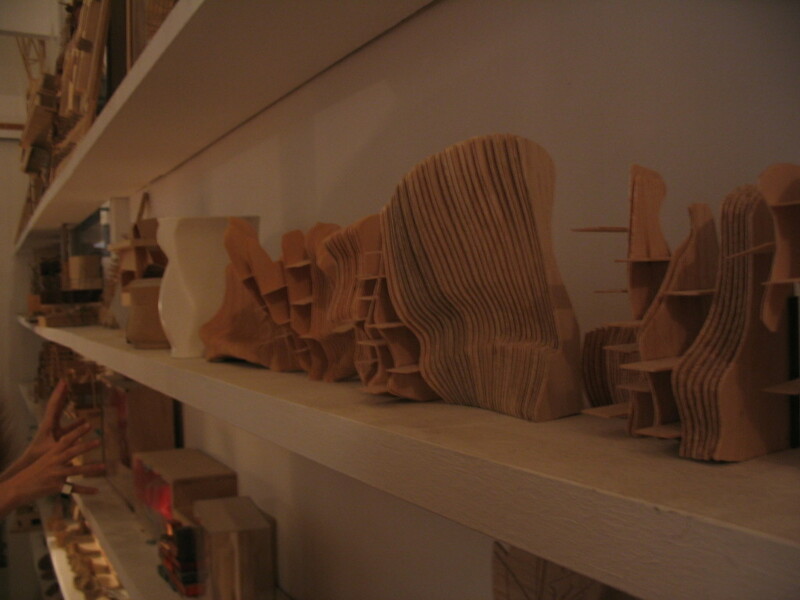 Smaller-scale experiments along the wall of the main workspace. 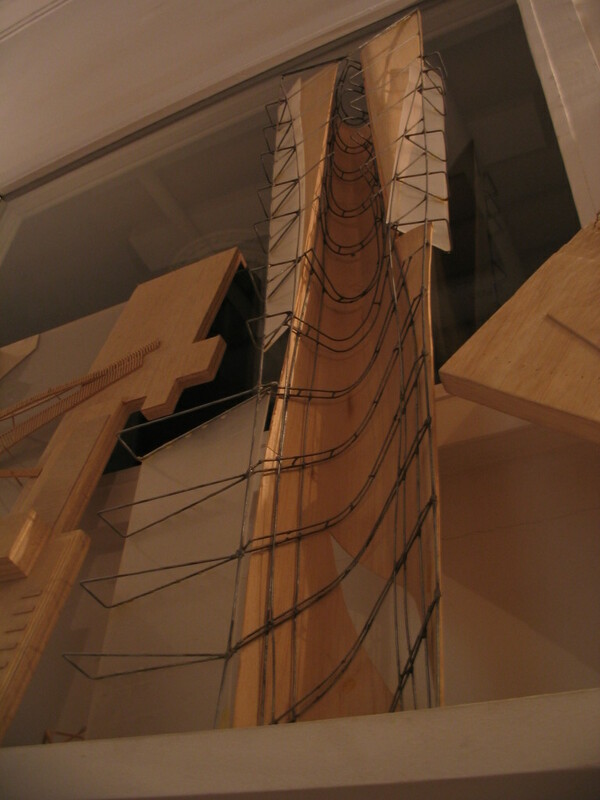 I really like the delicacy (and inventiveness of form, of course) of this wire model. 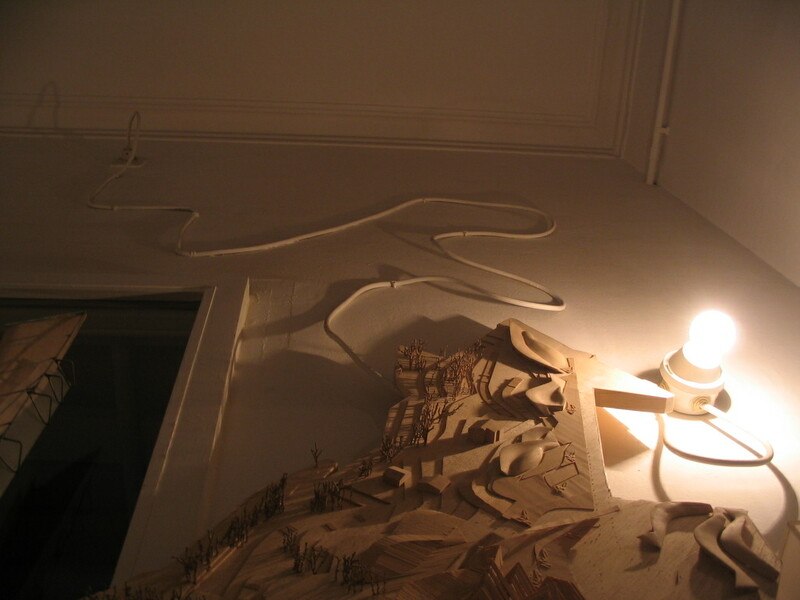 In this view it's like the wall, bulb, and wire become strange extensions of the model's landscape. 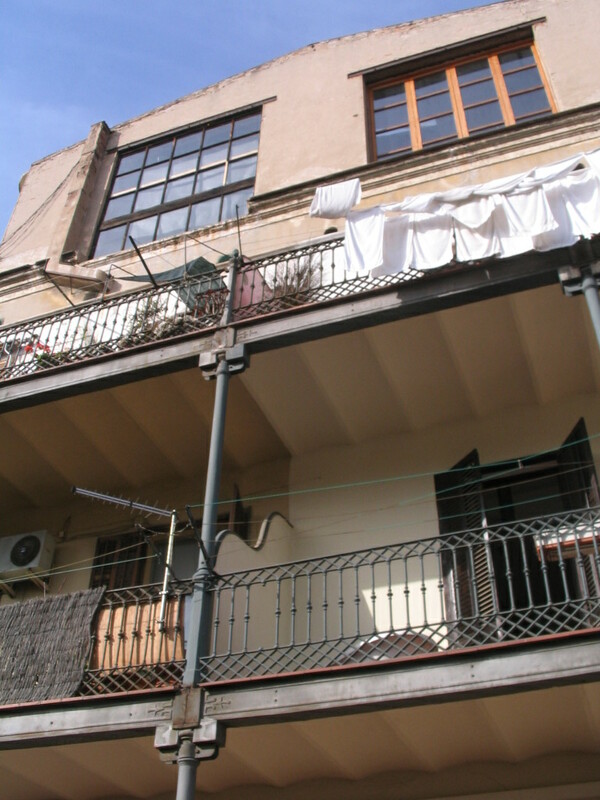 A glimpse out onto the street. More wall palimpsests in intriguing compositions. 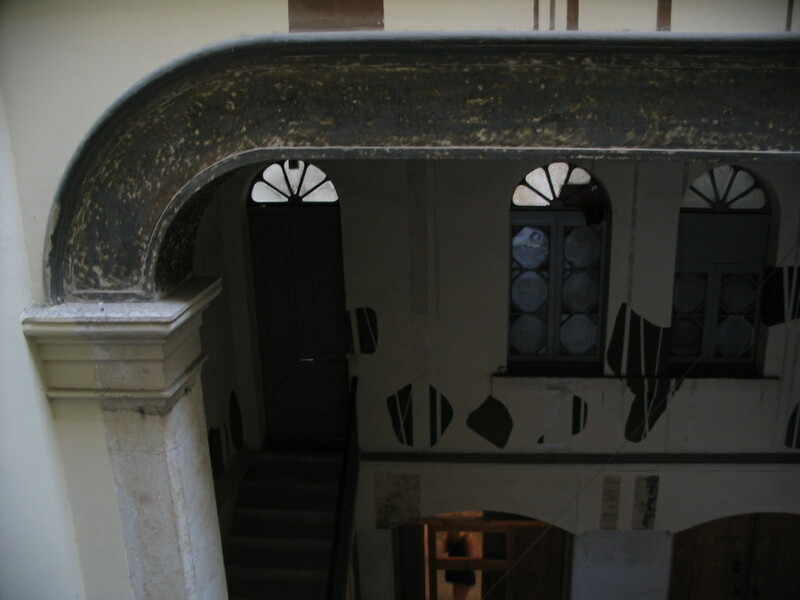 The entry from the street was, I think, through a few layers of transitional interior/exterior spaces, and the main workroom was visible from out here on the front stair. 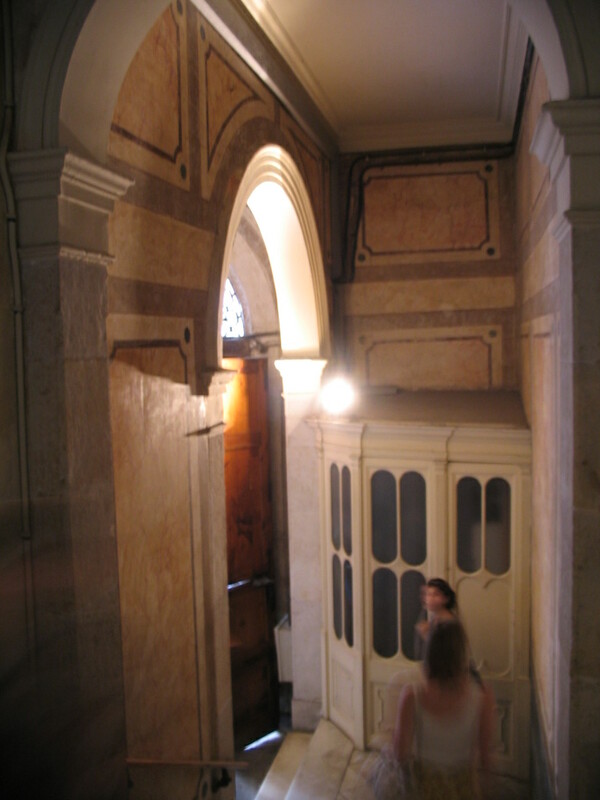 And a very mysterious stair hutch. A last look in from near the exit onto the street. What an excellent collection of arches! 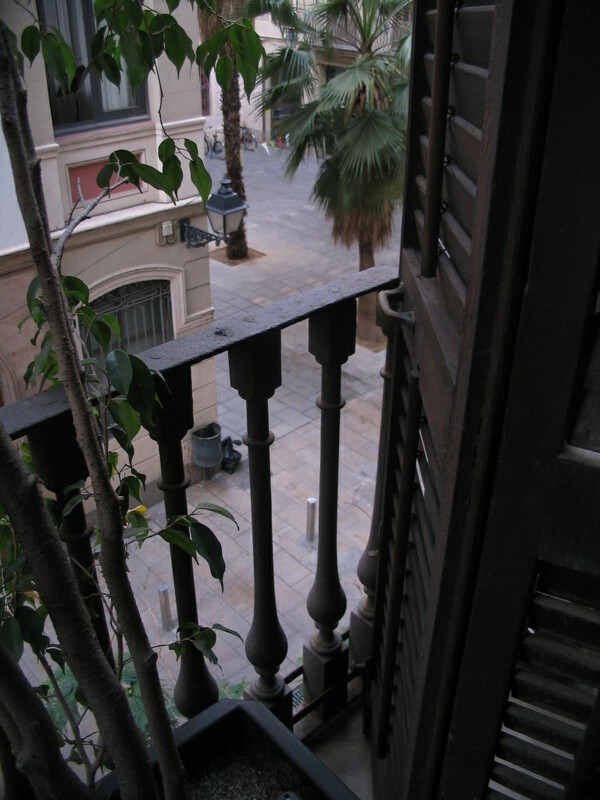 From there we headed on to a lecture at the Centre de Cultura Contemporània de Barcelona, a.k.a. 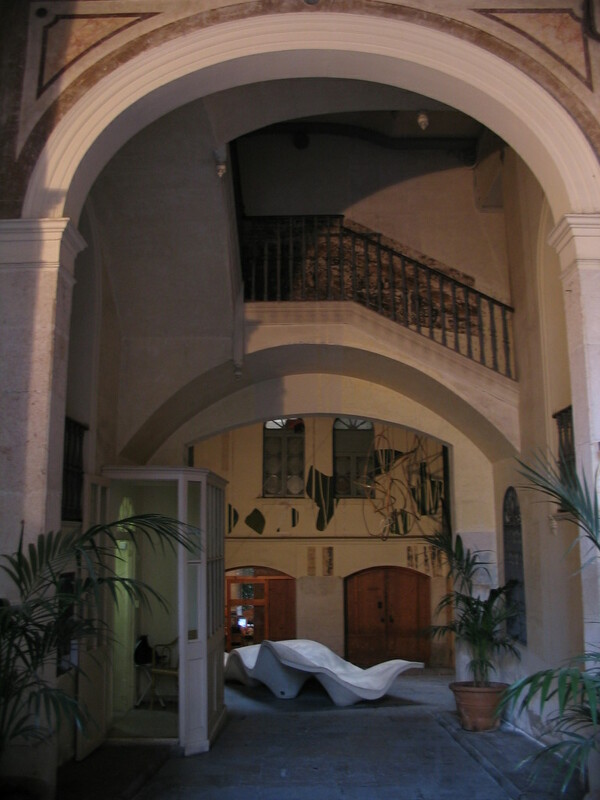 CCCB, which is adjacent to MACBA on the inland side. 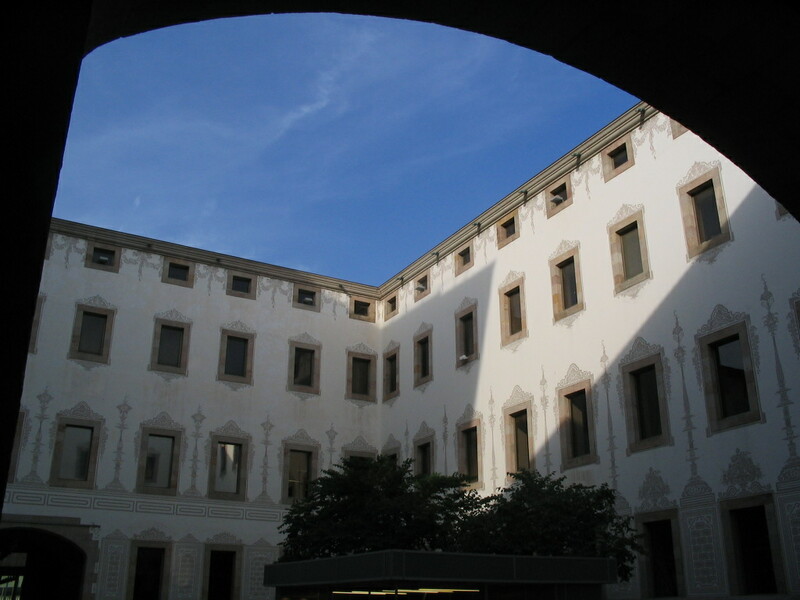 The CCCB was adapted from an old almshouse, the Casa de Caritat, which contains this grand courtyard. 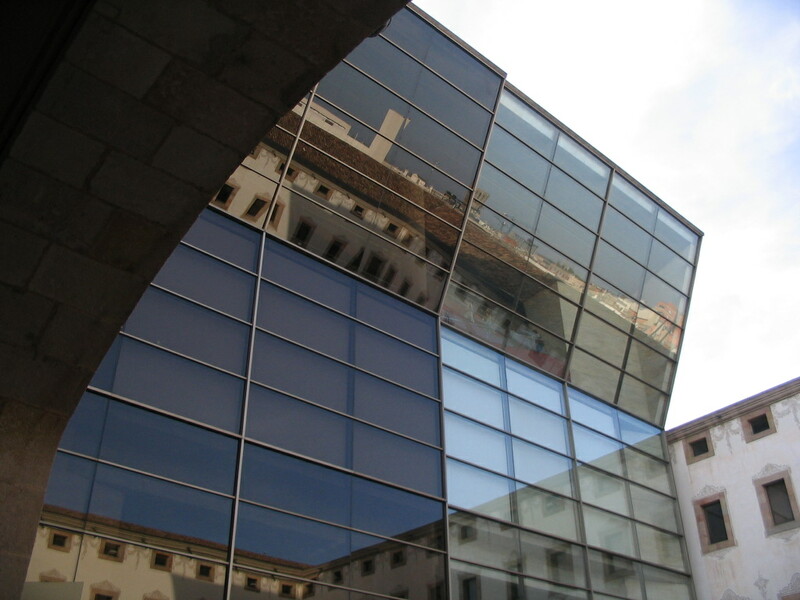 Meanwhile, the signature feature of the CCCB addition is this looming glass façade that's angled just right so that dwellers of the courtyard can see the reflected skyline of the city far beyond. 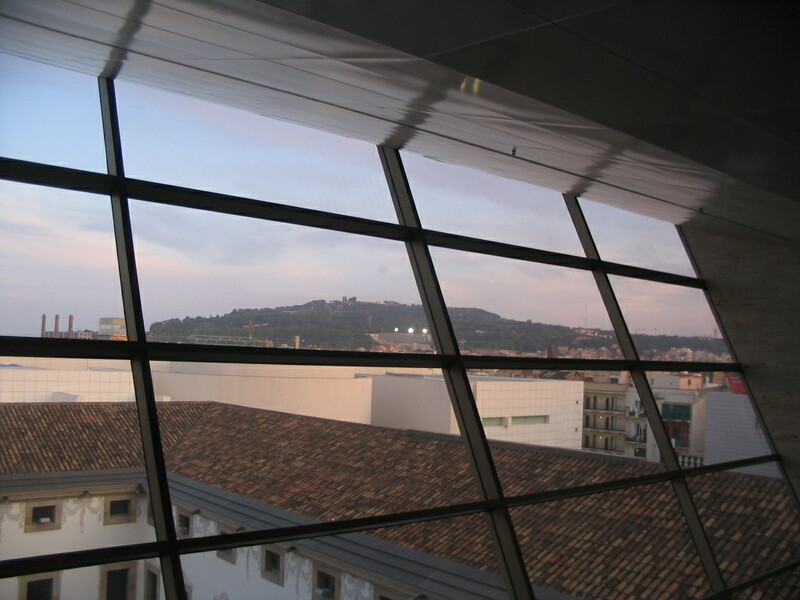 The lecture hall was on the inside of that glazing, so the views from it were great. 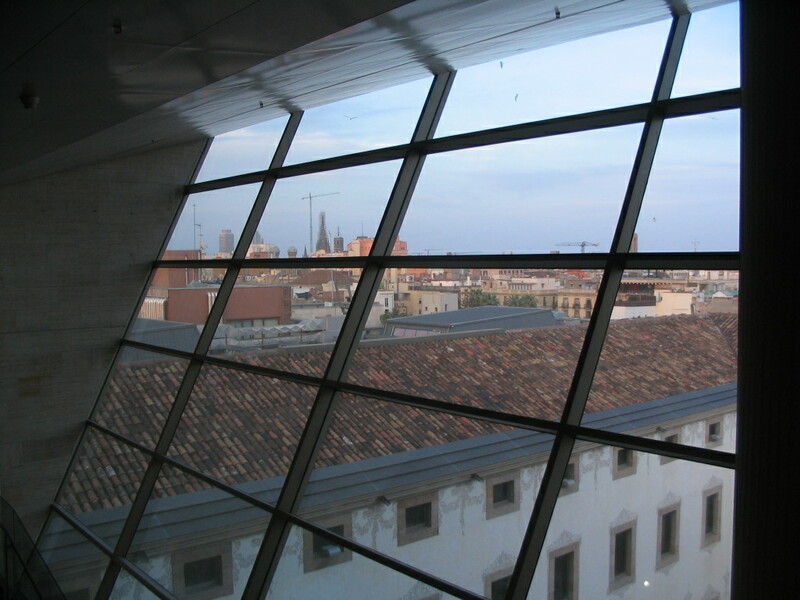 To the left here, looking east, you can see the spire of the Catedral with the scaffolding enveloping it. To the south are MACBA in the foreground and Montjuïc in the distance. 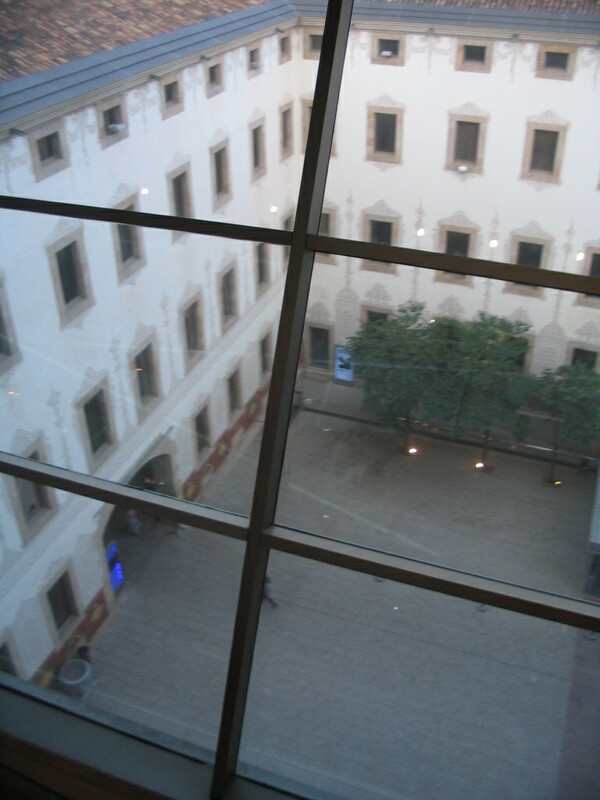 And of course there's a precipitous view of the courtyard. 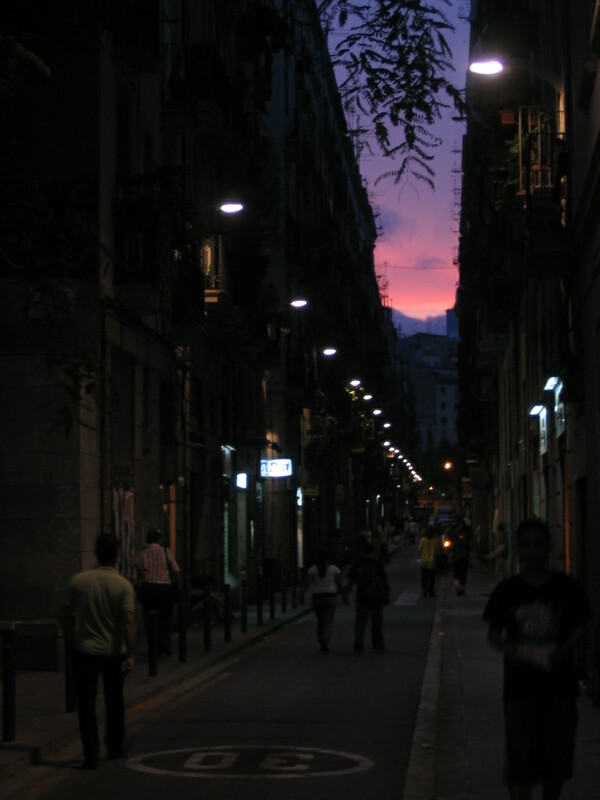 A lovely bit of post-sunset cloud glow, probably along Carrer de Joaquín Costa, on the way home. 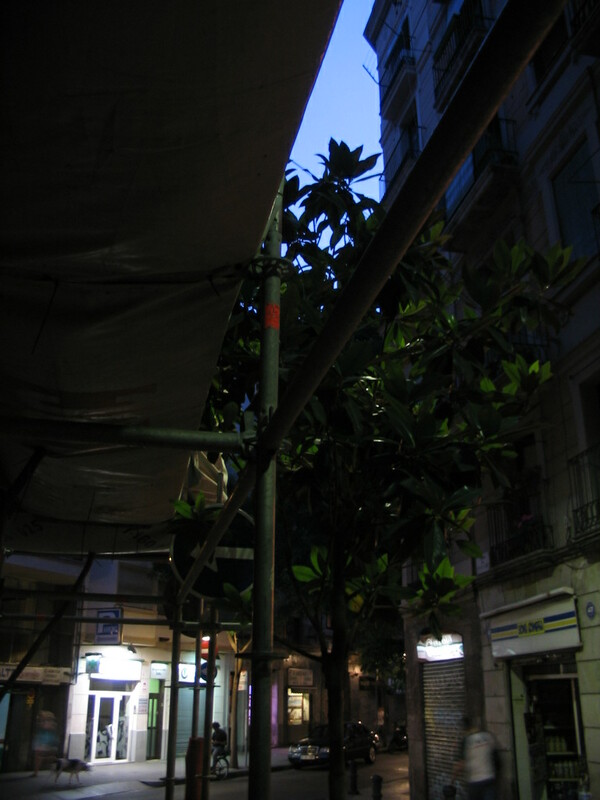 Green street light and green foliage rounding the corner from Carrer Peu de la Creu onto Carrer Riera Alta.